Ford is shifting away from sedans and hatchbacks to go all in on pickup trucks and SUVs, and the latest Escape epitomizes that. 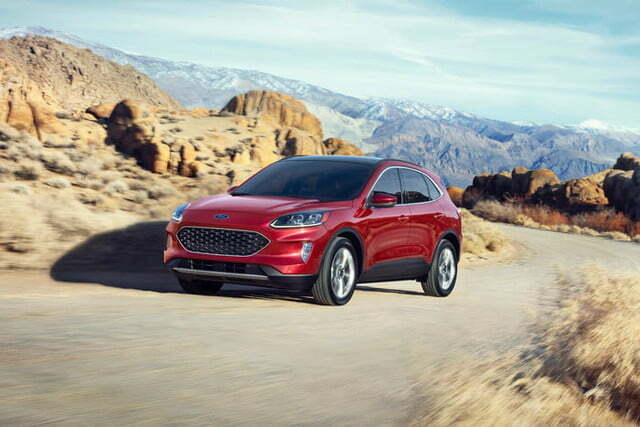 The 2020 Ford Escape gets sleeker, more car-like styling to help attract a wider range of buyers, hybrid and plug-in hybrid powertrain options to increase fuel efficiency, and a wider range of tech features. 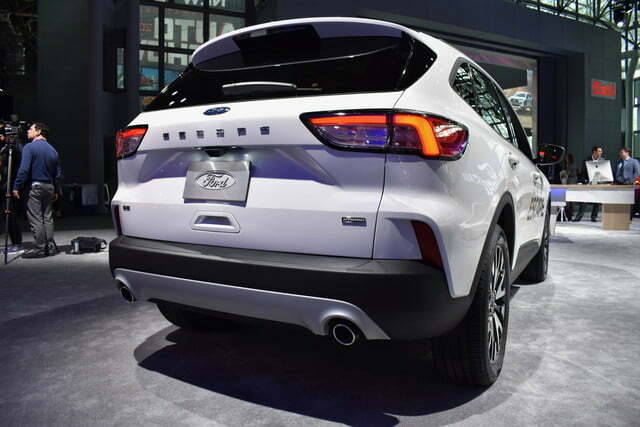 But Ford insists the redesigned Escape still has the utility traditional SUV buyers want. 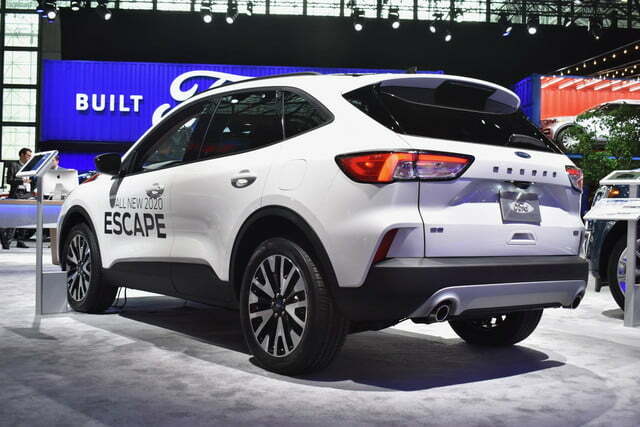 Launched for the 2001 model year, the original Escape was one the first crossover utility vehicles. 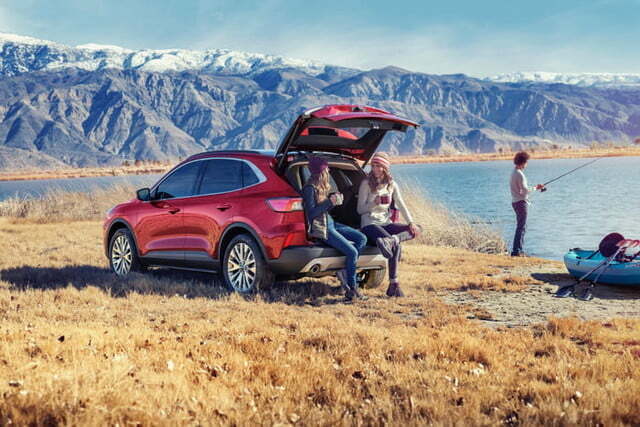 The segment has exploded since then, with several new models hitting showrooms even since the outgoing-generation Escape’s 2013 model year debut. 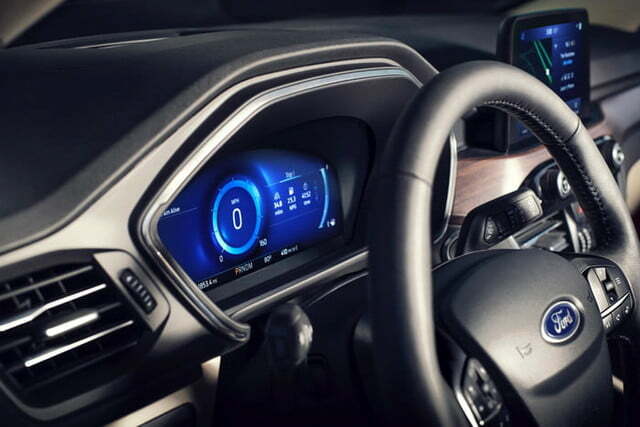 Ford sought to use exterior design to differentiate the 2020 Escape from that hoard of competitors, Craig Patterson, Ford SUV marketing manager, told Digital Trends. “It’s important to have a point of view,” Patterson said. 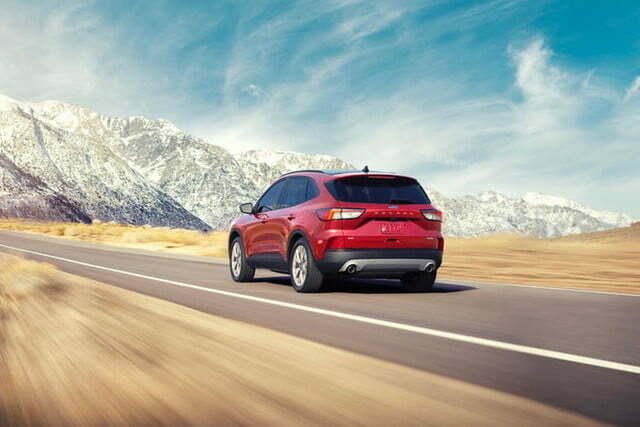 For the Escape, that point of view is less truck boxiness, and more car-like sleekness. 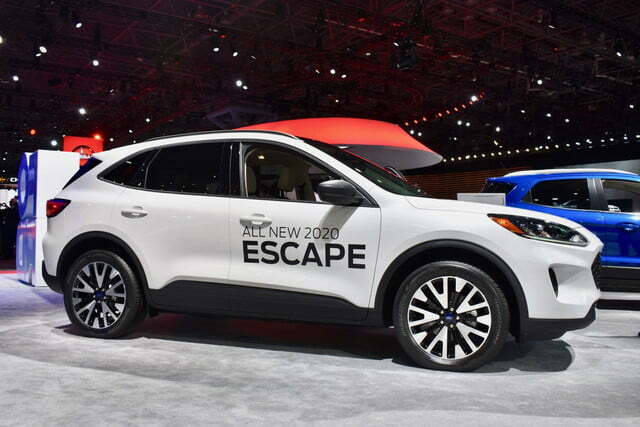 The 2020 Escape is longer, lower, and wider than its predecessor, with a sleeker roofline and none of the fussy detailing that cluttered the old version. 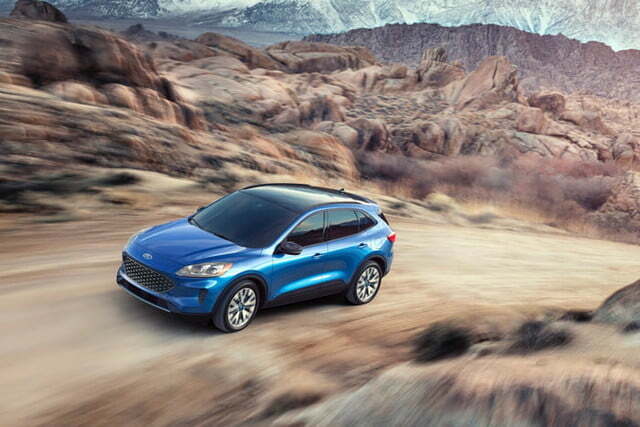 Buyers who want a more traditional SUV look can wait for Ford’s upcoming small off-roader, which will share basic underpinnings with the Escape. The same basic platform is also used by the latest Ford Focus (which won’t make it to the United States) and the upcoming Lincoln Corsair. 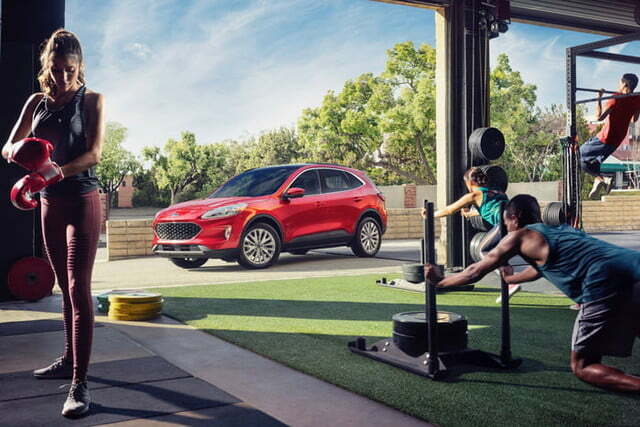 The 2020 Ford Escape will be offered with four different powertrains. 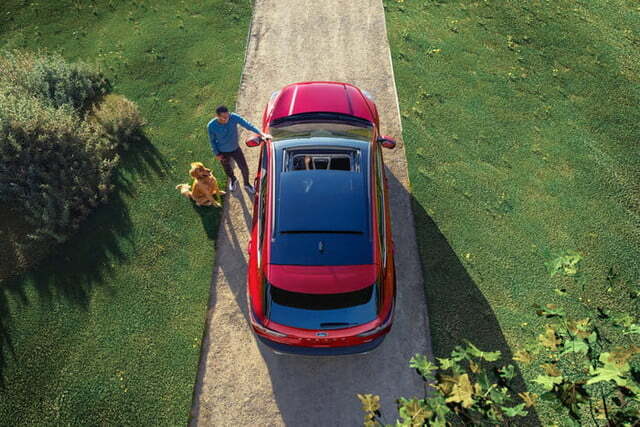 A 1.5-liter turbocharged four-cylinder engine is standard on S, SE, and SEL trim levels. 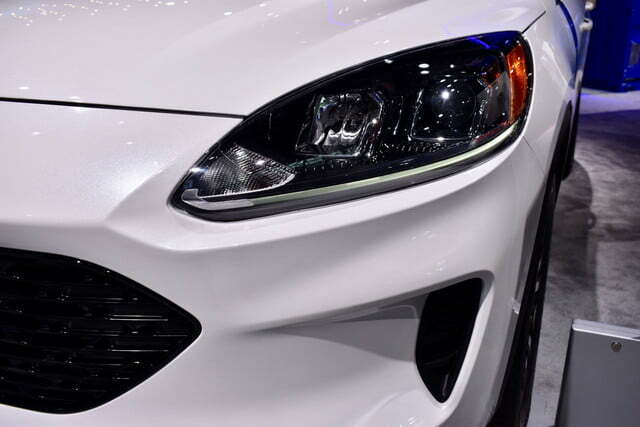 It produces 180 horsepower and 177 pound-feet of torque, but only on 93-octane fuel. The other gasoline powertrain option is a 2.0-liter EcoBoost turbo four. Available only on the Titanium trim level, this engine produces 250 hp and 275 lb-ft (again, only on 93-octane fuel) and can tow up to 3,500 pounds, when properly equipped. 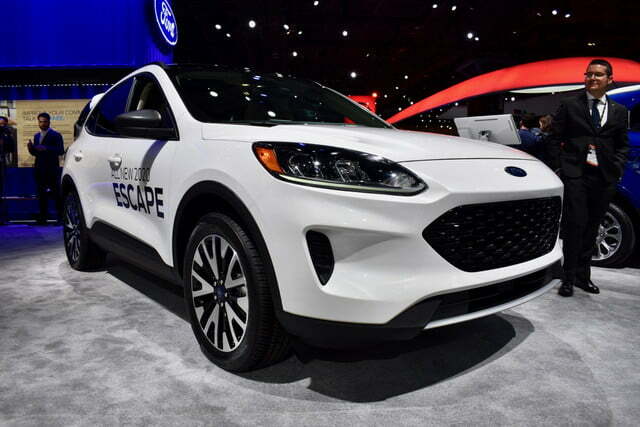 The Escape also gets a hybrid powertrain option for the first time since 2012. 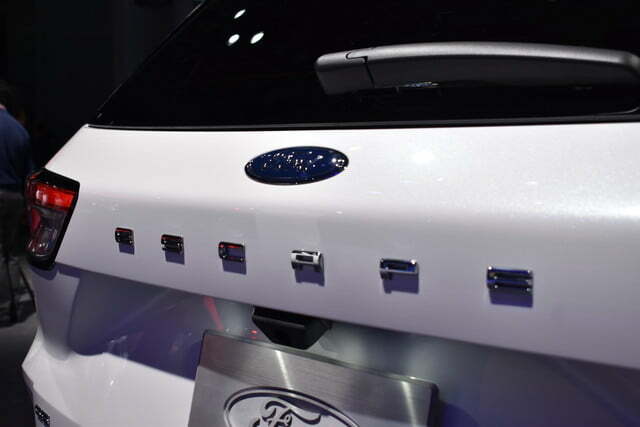 Indicating great confidence in hybrids, Ford made it standard on the SE Sport and Titanium trim levels. The powertrain is based around a 2.5-liter Atkinson-cycle four-cylinder engine, with a total system output of 198 hp. 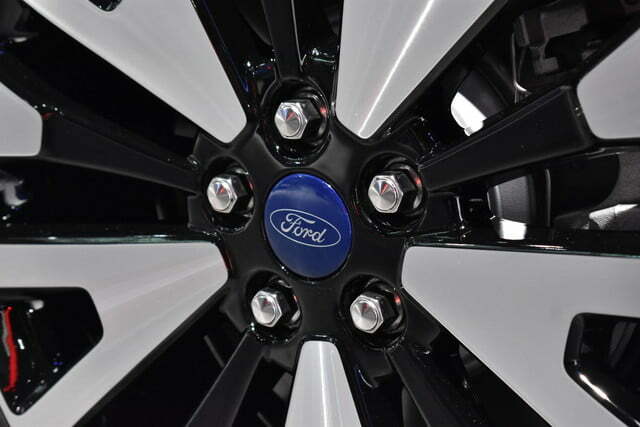 However, Ford did not list fuel-economy estimates. 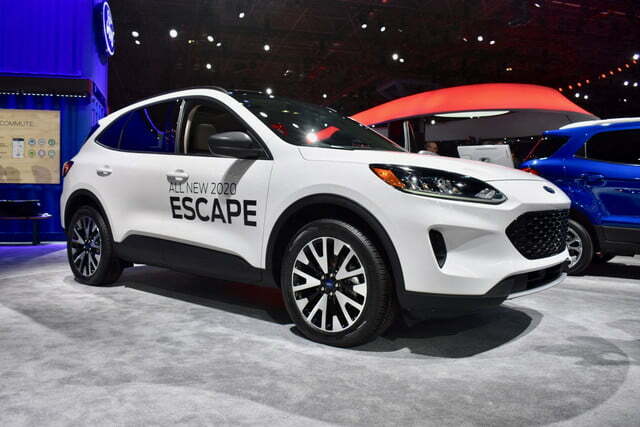 A plug-in hybrid powertrain — a first for the Escape — will also be offered on all trim levels except the S and SE Sport. 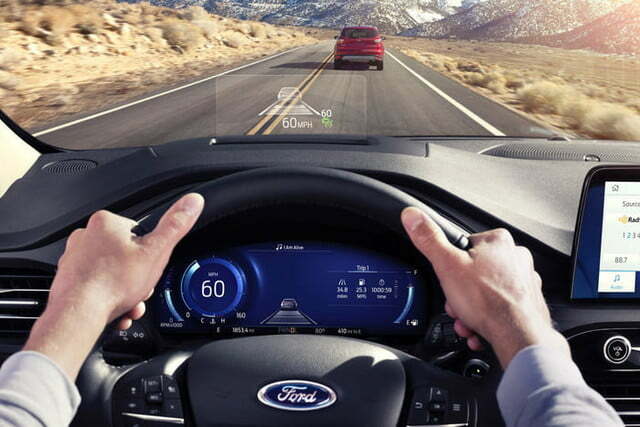 Ford expects an electric-only range of at least 30 miles, with a top speed of 85 mph in electric mode. The two EcoBoost powertrains and the hybrid get standard front-wheel drive or optional all-wheel drive, but the plug-in hybrid is front-wheel drive only. That powertrain’s larger battery pack left no room for a rear driveshaft, Patterson said. Other automakers use rear-mounted electric motors to enable all-wheel drive, but that was deemed too costly, he said. Ford did leave plenty of room for passengers and cargo, though. 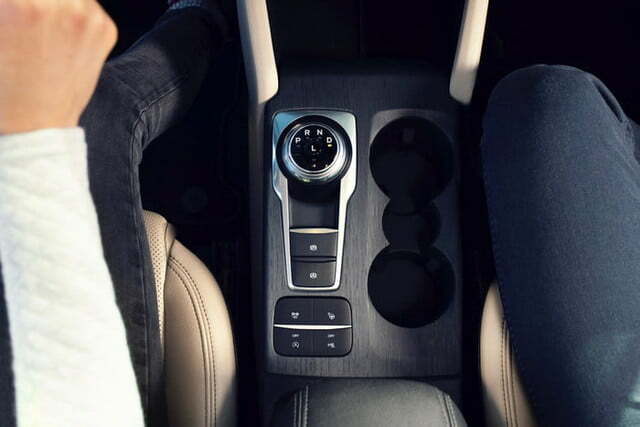 The automaker claims the hybrid and plug-in hybrid battery packs don’t impact interior space. The Escape also features a sliding second-row bench seat. 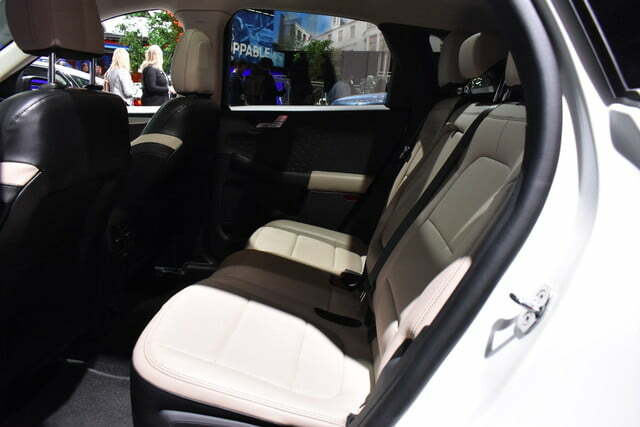 Previously seen only on the Nissan Rogue in this segment, it lets owners make room more for passengers or cargo, depending on what’s needed. 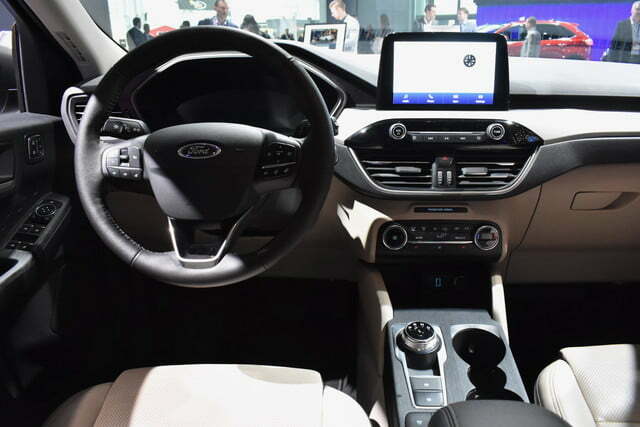 Up front, the Escape can be equipped with an 8.0-inch touchscreen and 12.3-inch digital instrument cluster, as well as a head-up display. 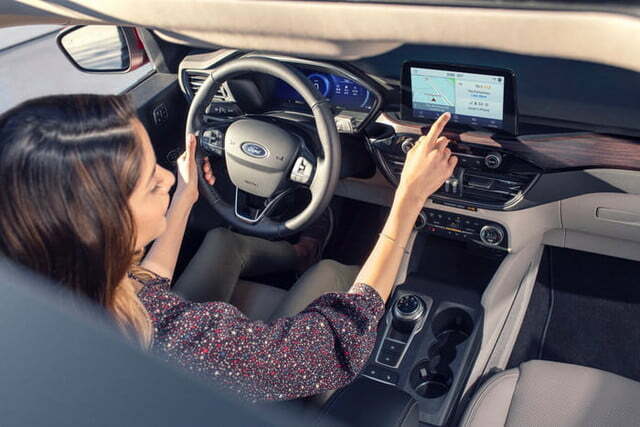 The Sync 3 infotainment system is compatible with Apple CarPlay and Android Auto, and the Escape features a built-in Wi-Fi hotspot that can support up to 10 devices. 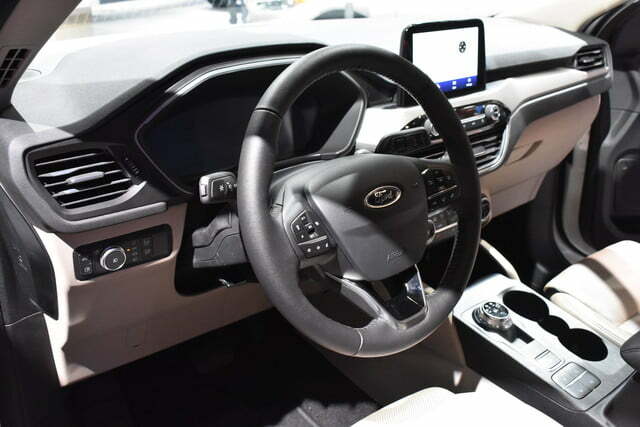 Like most recent Ford models, the 2020 Escape gets a suite of standard driver aids under the Co-Pilot360 banner. 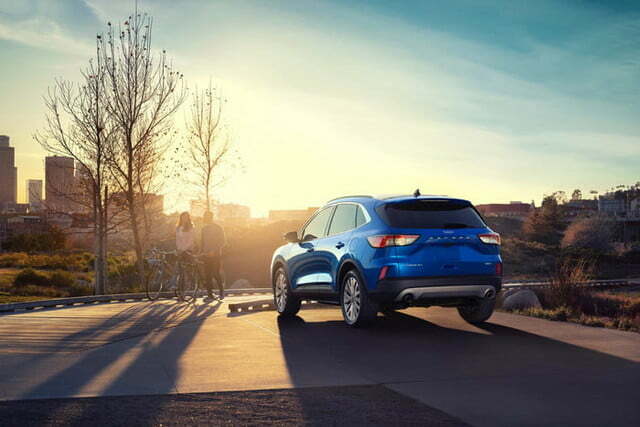 The standard features include forward collision warning, autonomous emergency braking, blind-spot monitoring, lane-keep assist, rearview camera, and automatic high beams. 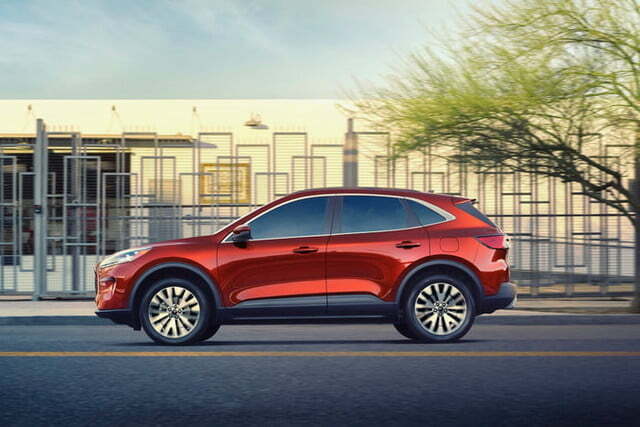 Optional extras include adaptive cruise control with lane centering, a park-assist system that steers the car into spaces, and evasive steering assist, which boosts the steering to help the driver execute emergency maneuvers. 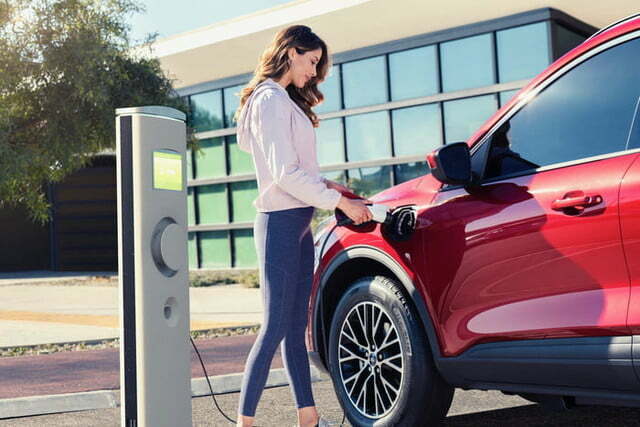 Gasoline and hybrid versions of the 2020 Ford Escape hit showrooms this fall, while the plug-in hybrid model will follow in Spring 2020. Pricing will be announced closer to launch. 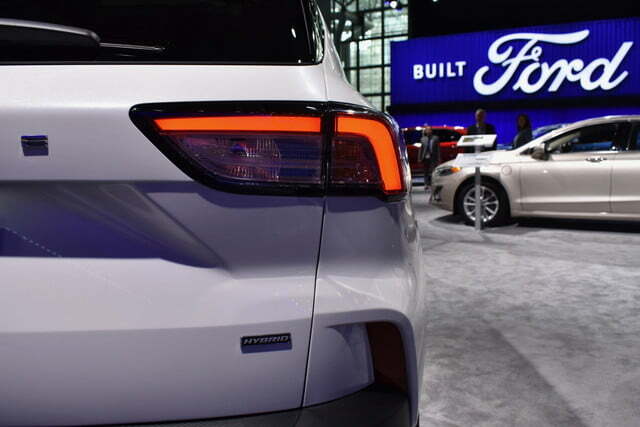 All 2020 Escape variants will be built at Ford’s Louisville Assembly Plant in Kentucky. It’s a big year for Ford, with the 2020 Explorer also scheduled to go on sale in the coming months.